Familes of the 22 people murdered in the Manchester Arena suicide bombing which claimed the life of an off-duty police officer have called for more “openness and transparency” from police over their ongoing investigation. One of grieving relatives walked out in protest at “lack of information” from Greater Manchester Police into the terror attack. Stephen Howe said the force had failed to keep families informed about efforts to bring the bomber's brother back from Libya where he is being held. Mr Howe, whose wife Alison, 45, was one of the victims killed in the atrocity at the end of the Ariana Grande concert, was at a pre-inquest coroners' court hearing at Manchester Town Hall with around 40 other relatives of those killed by suicide bomber Salman Abedi. 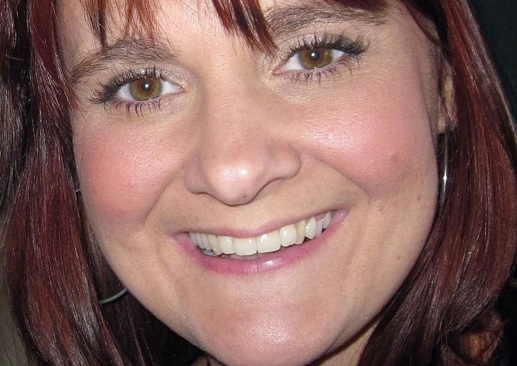 One of the victims was Detective Constable Elaine McIver, 43, who had served with Cheshire Constabuilary for 19 years. She was caught in the foyer blast. Outside court Mr Howe, from Royton, Oldham, said: "We are not getting any answers. It's very upsetting and very frustrating. I'm full of anger. I feel as bad today as the day it happened. "It is like our barrister said, we've been getting all our information from the media. Greater Manchester Police have been encouraging us not to speak to you (the media) from day one. "We would feel better if we knew where he was being held captive but they won't answer that question. There's a reason for that: I don't think they know where he is. We've had no information whatsoever. "I've no confidence whatsoever. I walked out of court because they didn't give us any answers to any questions. There's no point listening. Everyone is feeling frustrated." During the two-hour hearing the families were told inquests will not be held until at the earliest April 2020 – almost three years after the attack on May 22 2017. Pete Weatherby QC – representing the families of Alison Howe and the youngest victim, Saffie-Rose Roussos, eight – told the hearing: "All that I am asking is that 20 months after the outrage of the bombing the families ought to be presented with a greater level of factual detail about the process. "The most updates the families have received has in fact come through the press. "In essence what we seek, through the Crown Prosecution Service and Greater Manchester Police, is a greater amount of factual transparency." Progress on holding the inquests has stalled as they cannot be held before the conclusion of any criminal investigation and trial of suspects. But the hearing was told the investigation is still "live" and the UK has since November 2017 been trying to extradite the bomber's brother, Hashem Abedi, from custody in Libya. Lawyers for the force and the inquest warned that making information public could lead to prejudicing a jury and preventing any future fair trial. Mr Weatherby said the information sought included questions about what has been achieved so far, what hurdles remain in returning Hashem Abedi to the UK, whether he is in detention in Libya, and who he is being held by. Jeremy Johnson QC, representing the Greater Manchester force, said it was "very sympathetic" to the families' request, but progress was not being driven by the police as other authorities in the UK and Libya were also involved. He said officers will meet the CPS to try to give more information to the families and answer their questions. In opening remarks to the hearing, coroner Sir John Saunders said it was a matter for the CPS and GMP to decide how much information could be made public without risking a fair trial. He also said he had to balance the needs of involving the families in the inquest and having an open hearing with the issue of sensitive material from the security services being made public. Only people with a certain level of security clearance can view some of the evidence and that issue may also affect whether the inquest can be held before a jury. The inquest will also include a "most vigorous" investigation into whether the attack could have been prevented, the background and radicalisation of Abedi, and the information held and actions by the police and security services. It will also cover the build-up and the attack itself, security arrangements at the arena, the emergency response, the victims and their cause of death, and whether any deaths could have been prevented. Another pre-inquest hearing will be held later in the year.